Honolulu, HI ~ The public is invited to join in a fundraising initiative to support the victims of the recent torrential rains in Hiroshima Prefecture. In early July, heavy rains in Hiroshima Prefecture and other western Prefectures caused widespread flooding and landslides, which subsequently damaged homes and businesses and caused the deaths of 101 residents and injuries to 102 residents. Additionally, as of July16, 2018, 13 residents are missing. Also, thousands of residents of Hiroshima Prefecture vacated their homes and moved to temporary shelters. 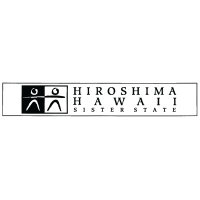 In view of this tragedy, a committee, “Hawai’i for Hiroshima”, consisting of concerned organizations with roots and ties to Hiroshima Prefecture, has been organized to assist in fundraising efforts for this cause. The “Hawai’i for Hiroshima Fundraising Committee” is chaired by Wayne Miyao, Chairman of the Hiroshima-Hawaii Sister State Committee as well as President of the Honolulu Hiroshima Kenjin Kai, with Vice Chairmen, Arthur Taniguchi, Honorary Consul General, and Wayne Ishihara, President and Chief Executive Officer of the Honolulu Japanese Chamber of Commerce. The City and County of Honolulu and the City of Hiroshima established a “sister” city relationship in 1959, which is one of the oldest such “sister” city relationships between a city in the United States with a city in Japan. On August 6, 2014, Mayor Kirk Caldwell attended and participated in the Hiroshima Memorial Peace Ceremony to honor the victims of the bombing of Hiroshima. The Honolulu Japanese Chamber of Commerce and the Hiroshima Chamber of Commerce and Industry created a “sister” chamber of commerce relationship with each other in 1981. Through the years, numerous exchanges promoting business opportunities have been completed in Hawaii and in Hiroshima. In May 2017, the Honolulu Japanese Chamber of Commerce, working with the Department of Economic Development, Business and Tourism of the State of Hawaii and its “sister”chamber, Hiroshima Chamber of Commerce and Industry, initiated its “Hawaii-Hiroshima Emerging Young Business Leaders Program” for businesses in Hawaii and in Hiroshima. The Japanese Chamber of Commerce & Industry of Hawaii (in Hilo) (JCCIH) established a “sister” chamber of commerce relationship in May 2000 with the Higashi-Hiroshima Chamber of Commerce & Industry. Along with numerous exchange visits to Hilo and Higashi-Hiroshima, the JCCIH attends and participates in the world famous Saijo Sake Festival in Higashi-Hiroshima each year. The State of Hawaii and Hiroshima Prefecture established a “sister” state relationship in 1997. Its goals have been to promote programs and causes centering on business and economic development, education, cultural and arts, athletics, and peace initiatives. In 2017, 20th anniversary commemorations were held In Oahu and the Big Island as well as in Hiroshima Prefecture. The Honolulu Hiroshima Kenjin Kai was established in 1955. The purpose of this organization, which will be celebrating its 65th anniversary of its establishment in 2020, is to promote and perpetuate the unique customs, history and traditions of Hiroshima. The Honolulu Hiroshima Kenjin Kai is a 501(c)(3) tax exempt organization.